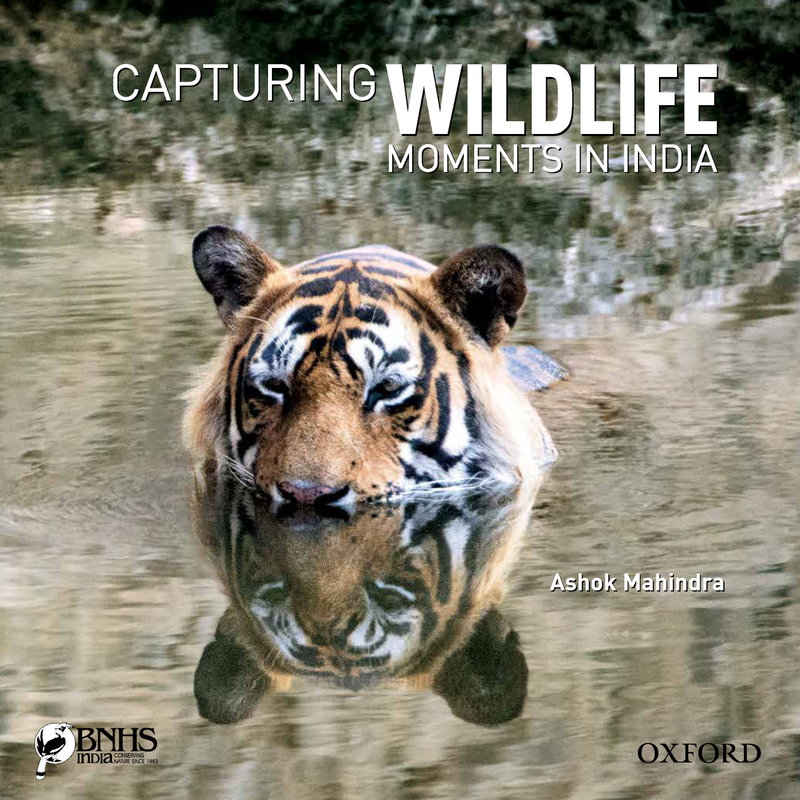 "Capturing Wildlife Moments in India" contains 120 photographs of animals and birds of India, photographed from visits to over 30 parks,sanctuaries and other locations. It is being published by Oxford University Press(OUP) & Bombay Natural History Society(BNHS).The book will be available at most of the major retail outlets across India and also through online retail sites like Amazon, Flipkart etc.It will also be available for sale through the BNHS website and is priced at Rs.1450". They sent me an e-copy of the book for review a few days ago. Honestly, after going through it, I feel ashamed at myself for having such a limited knowledge about the wildlife of our country. We're always very intrigued about "foreign" things - imported fruits, flowers and well, even animals. In all that. we forget to cherish and be proud of India's rich flora and fauna. Along with the shockingly beautiful images captured by Ashok Mahindra, he has even given a short description of the location, the very moment when the picture was being taken. What was the atmosphere, time of the day, what the animal/bird was doing, which camera and other instruments were being used and so on. This book is to be treasured by both animal lovers and photography enthusiasts, equally. 85 pages of pictures and information and a lot of knowledge about our rich wildlife. If I have to tell which is my favourite clicks, it would be The Spotted Owlet and the Snake Bird. Seeing these animals in a zoo is one thing, and in their natural habitats is another. So thanks Mr. Ashok for giving us this treasure of a kind. "This post is a part of the book review program of at Saevus Wildlife India in association with The Hemchand Mahindra Wildlife Foundation for the book Capturing Wildlife Moments in India"
My mother - My first EXPERT! Tropicana Slice Alphonso - King of Mango drinks! Buying high-end subwoofers for your car!